Recalling the glorious days of sledding down my steep hometown street, I can’t help but remember thinking how cool it would be to have those mechanical sleds you can use to glide across the open snow-covered fields of mountains. At the time, I didn’t know the mechanical sleds referred to snowmobiles, but I did know those petrol-powered superfast sleds packed a mean punch. I went on to become a huge fan of everything that has to do with snow and winter sports, and to fall in love with these motorized vehicles people use for both winter traveling and recreation. 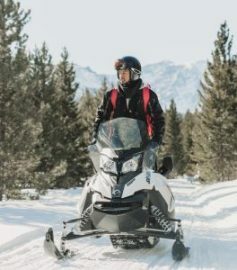 The snowmobiles are mostly designed for a single rider that controls a motorbike-style vehicle with skis at the front for control, and now Kevlar composite tracks that propel the snowmobile. The earliest uses of the machine were explicitly aimed at helping people travel across areas covered with deep snow that normally covers massive proportions of land. What has started as a mode of transportation now has reached a level where it is considered a serious hobby and enjoyed by many winter sports aficionados out there. 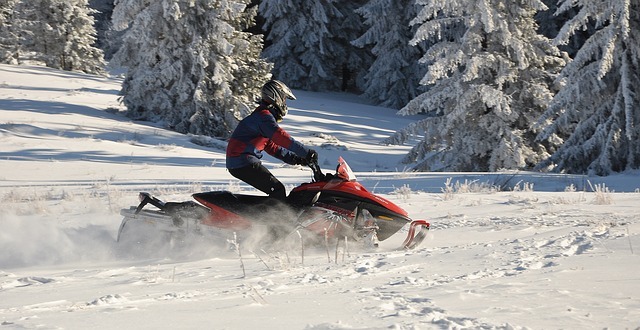 With the increase in popularity came an increase in the number of manufacturers and the style of snowmobiles. The most dominant ones in the market today are Arctic Cat, Polaris, Ski-Doo, Yamaha. Having scrutinized these companies and their models, I have compiled a list of the best snowmobiles they have in their offer, so make sure you check all of them out. In 2014, Arctic Cat company launched its Sno Pro 500 model of snowmobiles with 500cc, 2-stroke, and 2-cylinder engine. This lightweight beast is capable of carrying you through bumps, twists, and curves with great precision thanks to its brilliantly designed chassis that is the result of all the improvements done on the last model. When you consider the 85 horsepower engine that generates 63 kW, you know Arctic Cat Sno Pro 500 is the force to be reckoned with. Ski-Doo MX Z 600 E-TEC X is probably the best “rough trail” motor sled on the market ever. This adrenaline-inducing giant is lightweight with a nimble chassis that lets you go around the corners and bends with precision and expedience. It comes equipped with an E-TEC direct-injection system that, apart from quick acceleration, also allows for quiet and clean performance. The 2-stroke engine is capped at 600cc and with 120 horsepower, which can only mean you will have a lot of fun cruising on this one or racing down sharp bends. A rock star among snowmobiles, Yamaha RS Vector GT, has a four-stroke engine that commands the 130 horsepower and 1049cc. It handles well around the corners and is suitable for both rough trail ride and stay-on-the-track type of cruises. 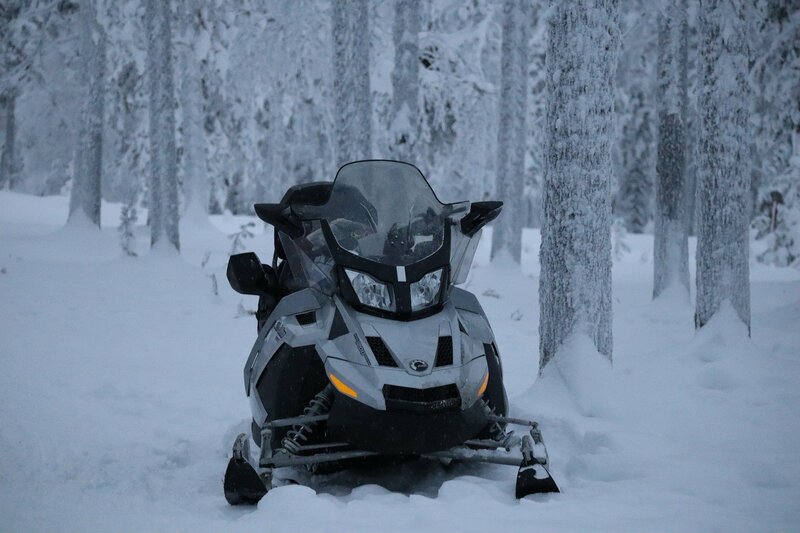 Its main advantage is low fuel and oil consumption, compared to an average 2-stroke snowmobile. The grip heaters and contoured handlebars are a neat addition to already exquisite design and other sleek functions and additions. When it comes to choosing your perfect snowmobile ride, a lot of factors come into question — from money to specific designs and functions. These powerful “toys” are so much more than a mere way of transport; they offer excellent fun and rushes of adrenaline like few other vehicles and sports can. Previous Previous post: Skiing in Las Vegas? An Option You Should Consider!